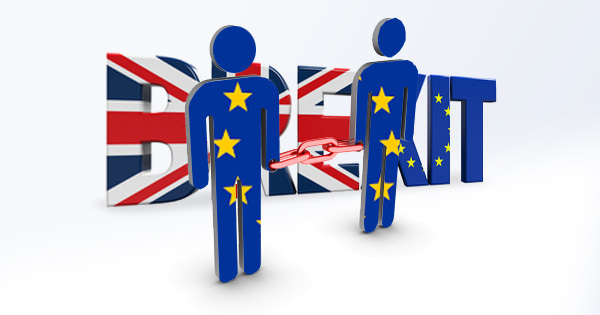 Hemel Hempstead, UK: NGA Human Resources, the global HR and payroll solutions specialist, today announced that NGA cleaHRsky has been accepted as a SAP-Qualified Partner-Packaged Solution for SAP SuccessFactors. For multinational employers, this means they can have a fast-to-deploy and easy-to-manage cloud-based HR & payroll solution without the time and cost adoption constraints linked to traditional HR technology deployments. NGA cleaHRsky significantly shortens the time to deploy to 100 days on average for core HR. The packaged solution combines NGA cleaHRsky’s predefined best-practice processes, pre-configuration, apps, automation and business process services (including employee contact center and payroll) with leading cloud technology. 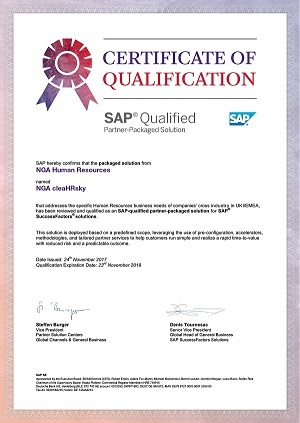 A SAP-qualified partner-packaged solution is an integrated solution leveraging SAP market leading software and innovations, together with partner services, specialist knowledge and IP in order to deliver rapid time to value, low risk, and high predictability projects at highly affordable price points. “Deploying an HR or payroll solution has always seen as a daunting task by companies of all sizes. With NGA cleaHRsky, NGA Human Resources has broken new ground. 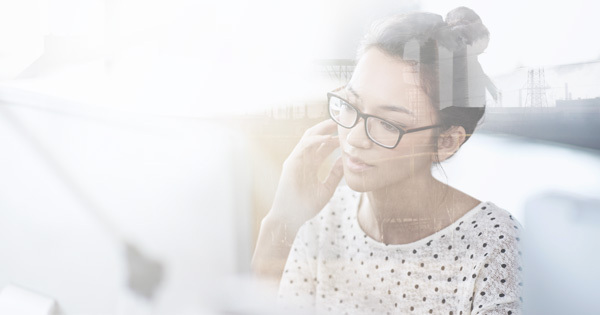 It’s offering a very simple, transparent and predictable implementation, combining best techniques and technologies with its proven global HR and payroll experience,” said Roger Kock, Senior Director, Partner Package Adoption Program at SAP SuccessFactors. Accelerated go-live: NGA cleaHRsky provides administrators with solution access after 10 days from project kick-off; employees and managers can access after 100 days. Easy user adoption: NGA cleaHRsky includes step-by-step change management. Tried & tested configuration: Best practice configuration and templates are part of the solution. As a packaged solution NGA cleaHRsky includes all an HR team requires to quickly go live, including questionnaires, checklists and templates. HR-as-a-Service: “Pay-per-use” model scales with delivery model and headcount. Flexible service delivery model: HR teams can start with the roll-out of core HR, adding talent modules and global payroll (in 188 countries) as required. Flexible support model: Service options range from technical support (AMS) to managed payroll services or end-to-end HR & payroll BPaaS. « We are delighted to receive partner-packaged solution status for NGA cleaHRsky. Our continued relationship with SAP is focused on delivering solutions that make HR work better for multi-country organizations. In partnership, we combine the innovation of SAP with that of NGA HR’s services and solutions, together unleashing the true value of SAP SuccessFactors, » explained Anita Lettink, SVP Strategy and Alliances of NGA Human Resources. What is a SAP-qualified partner-packaged solution? NGA Human Resources is a recognized SAP SuccessFactors global BPO, Cloud BPO and VAR partner.